Today's look is a simple yet beautiful little transmog set I threw together on my Draenei Mage. 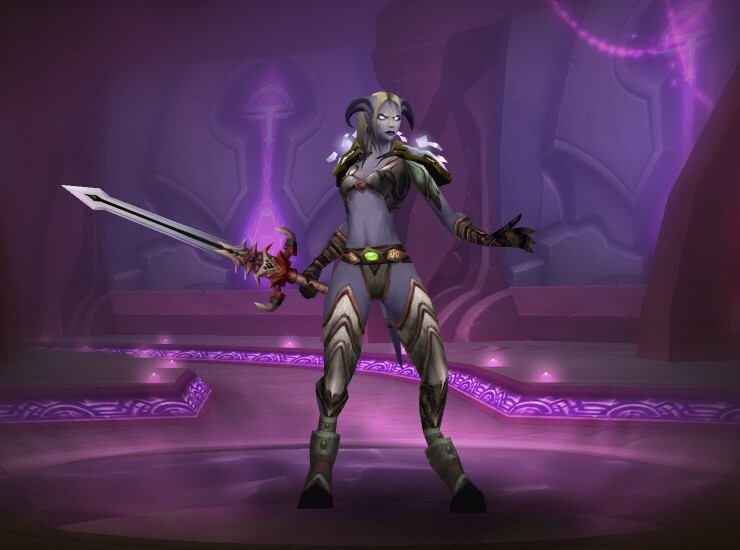 I call it "Draenei Sun Dress". The Journeyman's Vest makes it appear that the character (at least a Draenei) is wearing something akin to a miniskirt. Pants are handled by the ever-useful Ancestral Woollies. One of my favorite things about this look is that I found out that Frostwoven Boots (made by Tailoring) make it look as if the Draenei isn't wearing any boots. 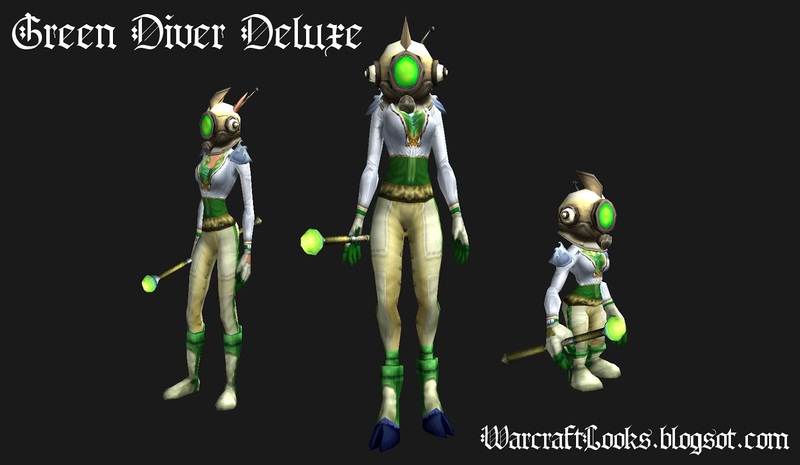 Head past the jump for the items used in this transmog outfit as well as links to the whole set on Wowhead so you can try it on yourself. Today's look stopped me in my tracks on the way to the mailbox today. 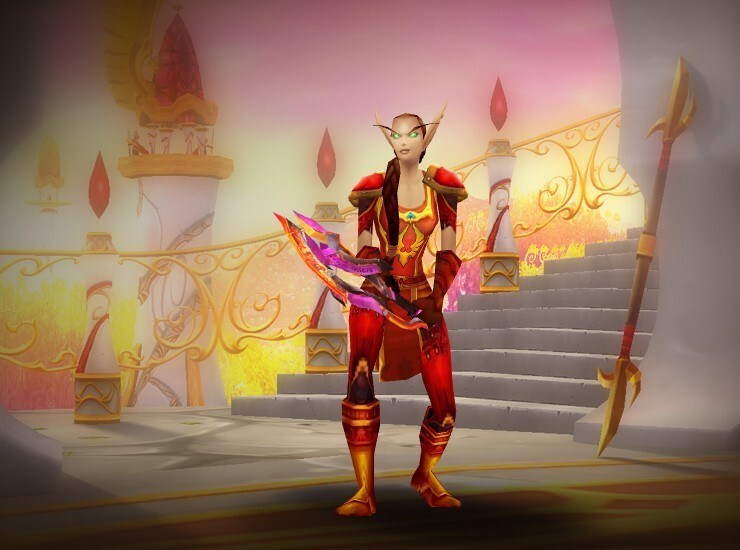 This is a cloth transmog outfit I call "Subtle & Sophisticated". It's subtle because the of the care that has been taken to match the outfit to the character herself (note the white shoulder pads that match her skin color). It's sophisticated because it is able to blend many disparate items into one cohesive whole. I've looked at the outfit on other models and none pull it off like she does. 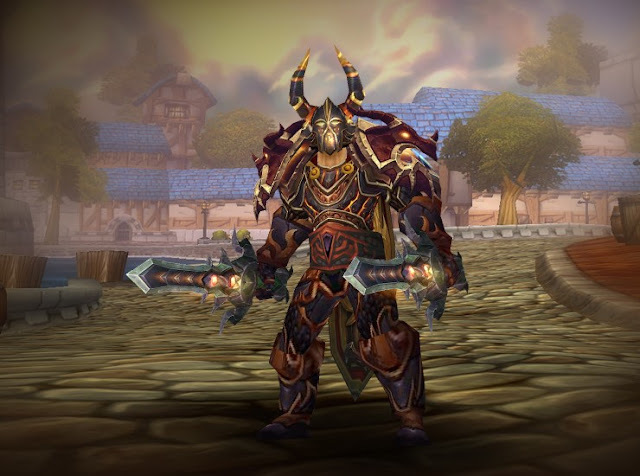 Every once and a while I come across a transmog outfit that stops me dead in my tracks. This outfit that I've dubbed "Green Diver Deluxe" certainly did that to me today. 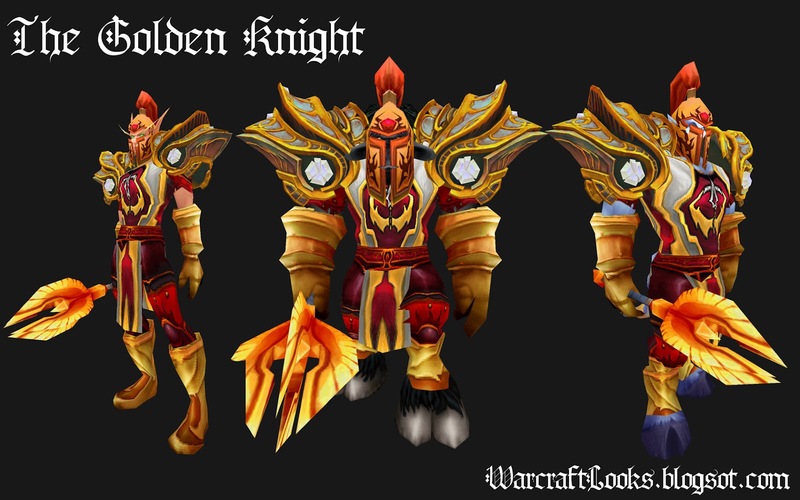 It's good to know that there is still plenty of originality to be had in transmogging. Today's reader submission is a striking Warrior Plate set by Demona of Korgath. The set really flows well and is very flattering to female Draenei physique while still having a "battle-ready" feeling to it. Head past the jump for the full mogging item list. Today's reader submission comes from Har who plays a warrior on Garona-US Alliance. Head past the jump for the full mogging item list. Today's reader submission comes from Kylaena who plays a warrior on Mannoroth-US Horde.